· "The ETUC calls for a Directive introducing a new and integrated architecture for workers’ involvement in European company forms. Building on the existing EU acquis, the Directive should set high standards on information and consultation, and introduce ambitious minimum standards on workers’ board level representation as an additional source of workers’ influence. · The Directive would become the overarching reference on workers’ rights to information, consultation and board level representation for all European company forms. The new Directive would accommodate the existing acquis on information and consultation (e.g. : Directive 2002/14/EC) and not replace it. · A Directive on rights to information, consultation and workers’ board level representation applicable to all European company forms would address the gaps and loopholes in the EU acquis. Above all, by demanding such a Directive the ETUC is proposing a truly European vision for EU company law. The Union needs to send strong signals that it defends a business model based on social justice and sustainability. · Prerogatives of trade unions are key and should be secured throughout the Directive." 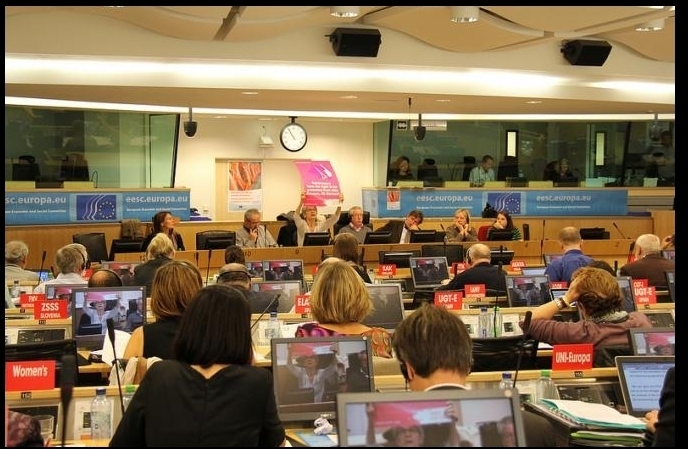 More information on the resolution, its context and key points can be found on the ETUC website.